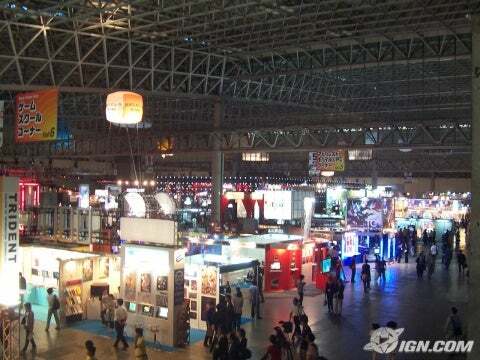 This year's Tokyo Game Show came and went without any major announcements, but there was still plenty to see and do. Here are some of the PSP related highlights. 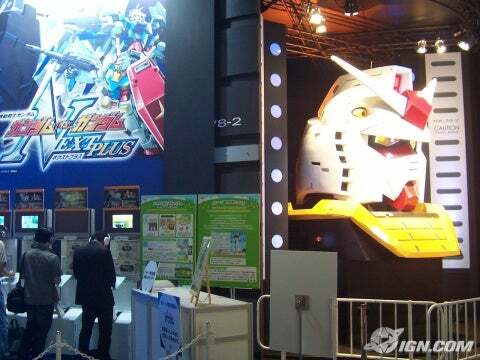 Next Plus, or Gundam vs. Gundam, promised giant robot fighting action to all PSP owners. We can only hope that the game will be released outside Japan. Phantasy Star Portable 2 promises more of the great gameplay of its predecessor. 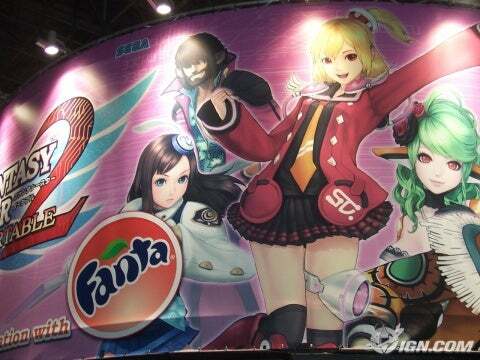 And Fanta, apparently. 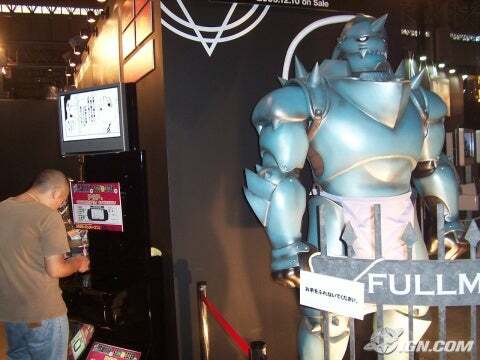 If you can notice anything besides the giant Fullmetal Alchemist statue in this picture, check out the PSP manga reader. Look for a post on manga readers and other PSP applications in the near future. 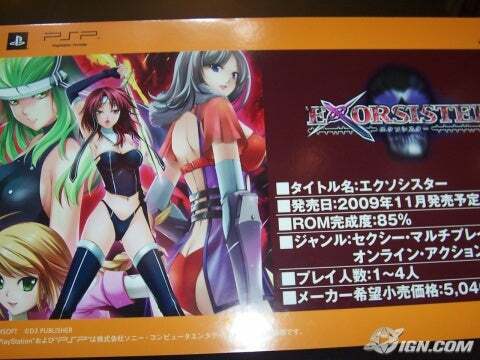 Though gameplay is reportedly weak, Exorsister still found other ways to entice gamers. Valkyria Chronicles 2 was one of the most promising games at this years TGS, and not just because of the booth babes. 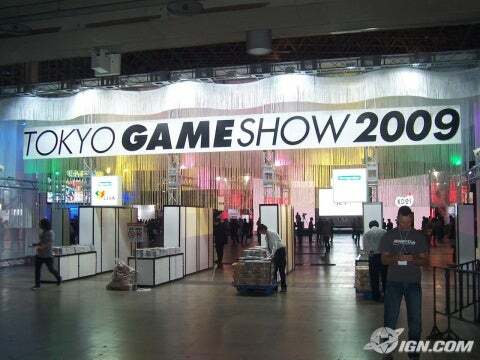 See you next year, Tokyo Game Show! If you'd like more information on any of the games pictured here, just use the search bar on the side of the page. Pop'N Music Portable Announced for the PSP.